After successfully using the ethereum blockchain to transmit Pakistani rupees to 100 people earlier this year, the UN’s World Food Program (WFP) is arranging extra security to ensure it safely executes the next stage of its work. A pilot test, scheduled to begin in Jordan on 1st May, will see the WFP sending an unspecified number of dinars to more than 10,000 recipients in need of financial support and extra food, with the goal of expanding the number of recipients to 500,000 people by 2018. To protect the privacy of the recipients, the exact amount to be disbursed is not being revealed. But the technology being developed is part of an even bigger push to make the UN’s services so resilient that they could survive even the destruction of the UN itself. The secret to such a design, according to WFP financial officer Houman Haddad, could be to remove the dinar altogether as a means of distributing funds – along with any other state-issued currency. Called ‘Building Blocks’, the first successful test of the ethereum-based solution was conducted in January in the Sindh province of Pakistan. There, 100 people received 3,000 rupees and the equivalent value in food via transactions authenticated on the ethereum testnet. Created over a 40-day period, the proof-of-concept is the latest effort designed to show that a blockchain could be used to distribute humanitarian aid to those in need. Beneficiaries of the project were assigned random one-time passwords that displayed on their mobile devices, which were then shown to supermarket proprietors who helped disperse both the funds and food. At the end of the test, the transaction records on the public ethereum testnet were reconciled with the actual funds distributed. Instead of paying the funds directly to the recipients, the UN sends the money to the shops, cutting out both banks and even the actual recipients. In one example cited by Haddad, money meant for 100,000 beneficiaries could instead be paid directly to the 400 merchants that might be available in that area. A second pilot planned for August will see the test expand beyond the borders of Jordan to other nations, with the possibility of reaching tens of millions of recipients served by the WFP in the future. Yet, both the proof-of-concept and upcoming pilot are part of a larger push within the UN to rethink what the organization calls cash-based transfers (CBT). Instead of turning over perishable resources such as food and medicine, the UN directly injects money into the local economy in the form of vouchers, prepaid cards, mobile money and more. In 2015, the program transferred $680m in aid to recipients, a number Haddad said the WFP hopes to increase to $2bn per year. 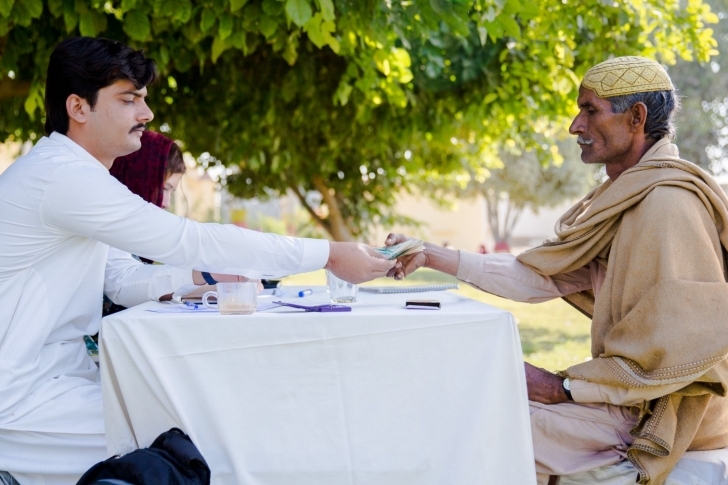 In the first six years of the program, 9.6 million people were given assistance through cash-based transfers. Though the advantages of CBT include increased efficiency and stimulated trade, there’s still plenty room to improve, according to Haddad. Specifically, he believes the current system still suffers from fees, a lack of privacy for the recipient, risks associated with relying on startup mobile money companies and lengthy contracting processes to ensure payment is still completed in the case these startups fail. All of these issues, Haddad said, could be reduced by moving the transactions to a blockchain. 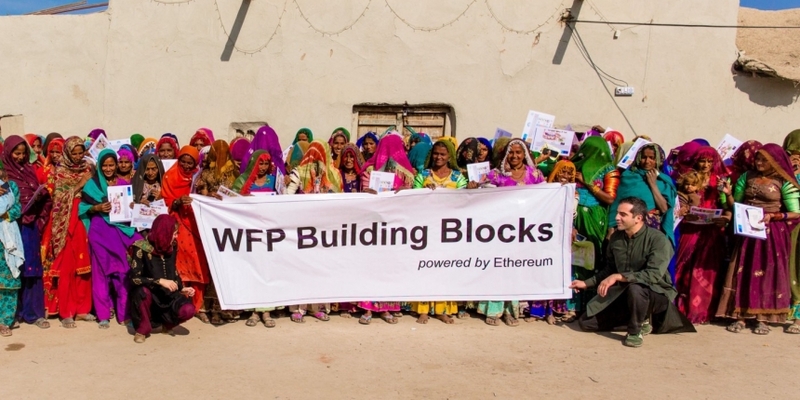 While consortia models have become increasingly popular for financial institutions looking to leverage the network effect of blockchain, the WFP went in a decidedly different direction. Developed in partnership with the Field Innovation Exchange offered by exponential technology think tank, Singularity University, the pilot is designed as the next step towards increasing internal cooperation between agencies at the UN. 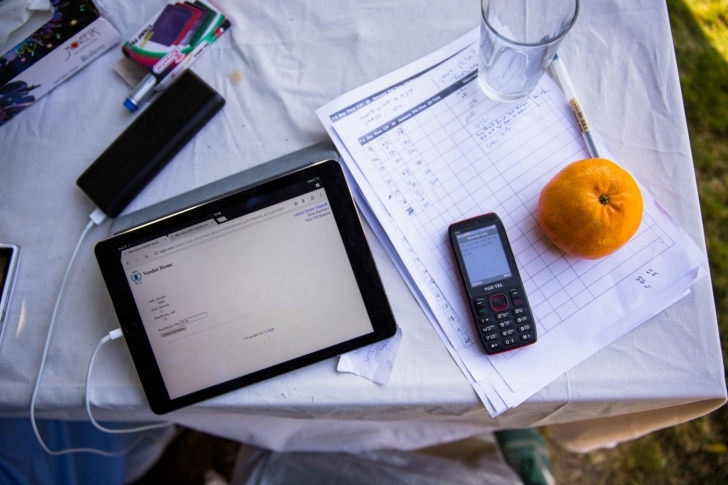 Initially, the project, developed at WFP’s Innovation Accelerator, is being built to give store keepers a reliable way to know how much money and food each of their customers can afford. But project manager Alexandra Alden said she’d eventually like to see applications open up in divisions across the UN, with efforts aimed at cryptographically securing identity, tracking supply chain logistics and leveraging Internet of Things-enabled devices. Haddad breaks down the benefits of blockchain into three categories: empowering beneficiaries, lowering costs and reducing redundancy in the system of UN services. Unlike previous attempts to collaborate that he said were stunted by internal competitive interests, he believes the blockchain solutions being developed across the UN will someday be able to interoperate because of the common source of data. Already, UN Women has partnered with Innovation Norway to make it easier for women and girls to explore blockchain, and it is currently hiring a blockchain consultant. In October, the UN publicized its interest in using blockchain for sustainability projects, and in November, the United Nations Children’s Fund invested in its first startup working in the sector.